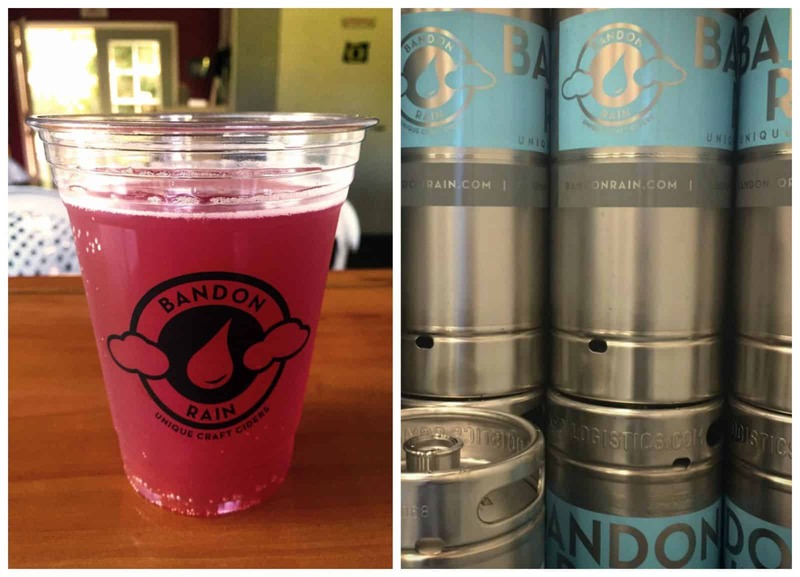 A new cidery is off to a great start on the Oregon cider scene: Bandon Rain Hard Cider. The recently opened cider producer made its first public appearance at the Bandon Cranberry Festival with its cranberry apple hard cider. The cider was a hit among festival-goers. Bandon Rain began in 2013 when cranberry farmer Gary made his first batch of fresh-pressed hard apple cider. Gary’s son and daughter-in-law, Trevor and Mary, soon picked up the project. A summer hobby quickly turned into a business prospect when Gary, his wife Karen, Trevor and Mary turned an old cranberry shed into a small production cidery located in Bandon. Currently, Bandon Rain cider is only available in kegs, but hopefully bottles will appear on the cider market in the near future. You can find this delicious cider at The Beverage Barn and the Arcade Tavern, with more locations launching within the next month. Keep an eye out for Bandon Rain Hard Cider updates by visiting the company website and Facebook page for information.